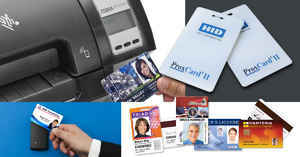 Home » IDSecurityOnline Blog » Badge Accessories » No ID card program is complete without accessories! No ID card program is complete without accessories! An ID card is meant to be visible and needs to be displayed properly to be a secure and durable tool. To do so, a wide array of options is available to you: from badge holders to lanyards, find out now which badge accessories are right for you. Badge Holders: choose from a variety of horizontal and vertical badges holders. Solid and available in multiple colors, our badge holders will extend the lifespan of your cards. Badge Reels: attach your ID card to clothing or bags with our line of colorful retractable badge reels. Their unique �pull� system is perfect for an easy access to your badges. 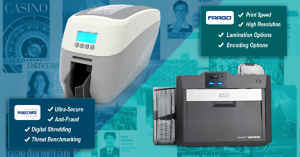 Clips and Magnets: secure your ID cards and badges to anything with our solid and affordable clips and magnets. Luggage Accessories: protect your belongings with our line of luggage tag straps and holders. From plastic to genuine leather, you will find the perfect option to secure your assets in style. Neckwear and Wristwear: another great way to display your badges is through neck chains or wrist bands. Neck chains are a stylish alternative to lanyards while wrist bands simplify card swiping. 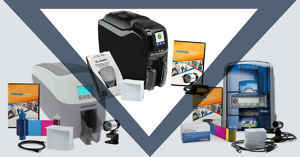 Photo ID Accessories: we carry a wide range of slot punches and ID badge racks to display properly all your cards. Lanyards: easy-to-use, lanyards are a must-have for anyone in need of an inexpensive way to wear your badges. With our huge variety of colors and models, you will promote your company, enhance your brand image and display your ID badges with style! Strap Clips: choose from plastic or vinyl clips to attach your cards to your bag or clothing. 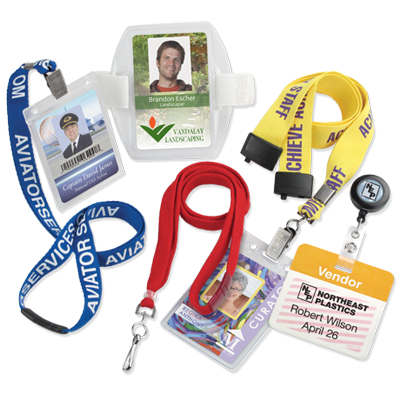 Whether you need lanyards for your events or badge holders for your employee badges, our line of badge accessories will meet all your requirements. Visit our badge accessories section now to get started. Questions? 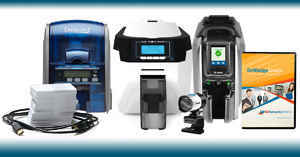 Call us at 1-800- 897-7024 to talk to an ID expert. What Should All ID Cards for Enterprise Include? 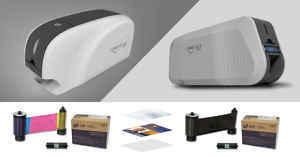 IDP Smart-31 or IDP Smart-51 which one suits you?